Elegant and rustic, Kate Aspen's Personalized 12 oz. 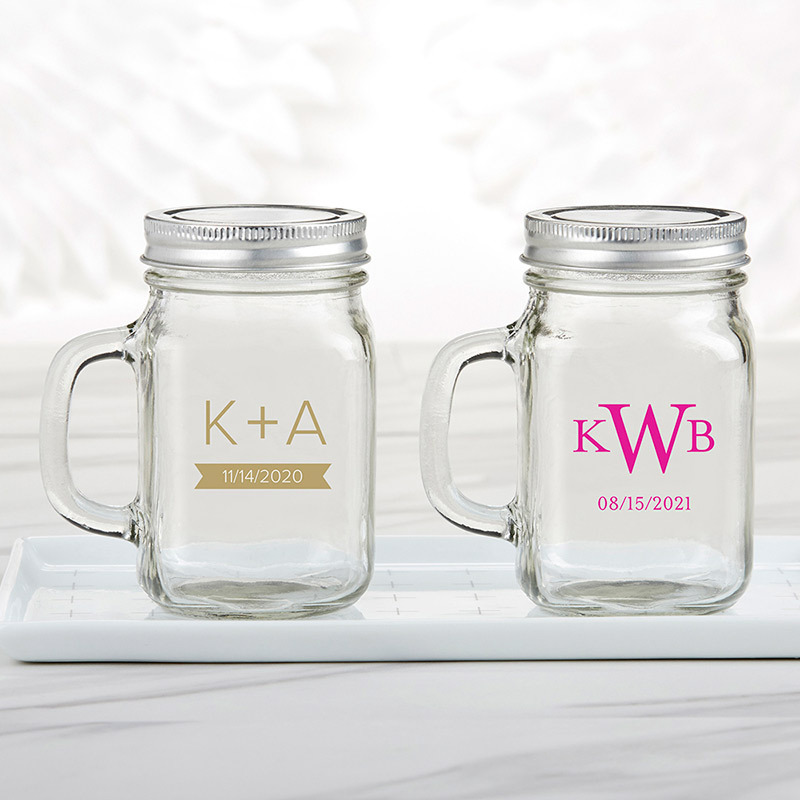 Mason Jar Mug is decorated with a personalized Monogram design to create the event favor just for you! The drinking glasses with handles are for more than just drinking, they can also be used as part of your event décor or to hold small favors. With the Monogram design, the drinkware takes on a vintage appeal, making them a beautiful choice for vintage or country-chic weddings and events.